Political activist. Nobel Peace Prize Laureate. Political prisoner and inspiration to millions of people around the world. Aung San Suu Kyi won 59% of the national votes in the 1990 general election and 81% of the seats in Parliament. But she was seen as a threat to the ruling military junta and was placed under house arrest from July 20, 1989 until her release on November 13, 2010. Marshall Adair was the Political/Economic Counselor at the U.S. Embassy in Rangoon (now Yangon) and witnessed the military crackdown and massacre under General Saw Maung as well as the mass demonstrations for democracy beginning August 8, 1988, which led to the rise to prominence of Burma’s Iron Lady. Adair was interviewed by Charles Stuart Kennedy beginning in September 2011. ADAIR: One of the posts that I bid on was Rangoon, Burma – the position of political economic counselor…nothing had happened in Burma for 30 years…It would be fascinating to go there and it’d be quiet…. I was intrigued with it because when I worked at the United Nations back in 1970 one of my closest friends there had been a Burmese woman named Aung San Suu Kyi. She had been working at the United Nations, in the professional service. We were introduced by a mutual friend, the Bolivian man who had tutored me for the oral exam. I was curious to see this country that she had loved so much but that she had been uneasy about going back to. Before leaving Washington I went around and did all the obligatory calls on the different departments, businesses – and I think Congressional offices. I went to Commerce, the Department of Energy and the CIA. At every place, including in the State Department offices, I asked, “Where is Aung San Suu Kyi right now?” I was very surprised to find that no one knew. I was surprised because her father had been the founder of Burma’s post WWII state…. In the spring of 1988 they’d had some of the first serious demonstrations against the regime in 30 years. 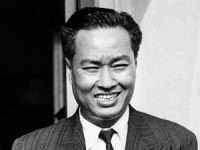 Ne Win, who had run the country all that time had stepped back and turned leadership of the country over to his top general, Sein Lwin. Then, there had been a severe outbreak of demonstrations on the 8th of August, 8-8-88, a very auspicious date. When we arrived there was still blood on the streets from the severe crackdown that Sein Lwin had ordered. When I arrived in Burma, the government was ostensibly civilian. Ne Win, who had ruled the country for more than 30 years, had stepped down and formally turned over power to his right hand man, General Sein Lwin. However, General Sein Lwin had also resigned after the violence on August 8. The government was headed by man named U Maung Maung, a very elegant, elderly person, who was also a former general. He was serving in an interim capacity, but there was no indication of how long the interim would be. The government had the same basic structure that had existed under Ne Win, and most people believed that Ne Win was still calling the shots one way or another…. The person who was going to be my senior Burmese FSN [Foreign Service National] came by the house to introduce himself. We sat around talking about a variety of things, and then I asked him, “By the way, do you have any idea where Aung San Suu Kyi is?” He looked at me in surprise, and said, “Well yes, she’s here.” She had returned in the spring to help take care of her mother who had been very sick. I thought how bizarre it was that neither the State Department nor the CIA had known, because the embassy knew and they would have told the desk. Two days after we arrived she made her first public speech. It was at a hospital downtown and a huge crowd gathered. It apparently was a surprise to her and to her supporters that so many people showed up. So they scheduled another speech for her to give at the Shwedagon Pagoda on August 25. My house was about three blocks away from the Shwedagon Pagoda. I walked over there with my senior political officer and with this Foreign Service National. We sat on the grass right – let’s see – on the west side, I think, of the pagoda where she was going to give her speech….The weather was really, really hot; but there were thousands and thousands of people there then to listen to her. From that point on the interest in her and the demonstrations just kept on growing. As the demonstrations increased, Ambassador Levin increased his calls on senior government officials, and took me with him. We called first on U Maung Maung who met us with several of his senior associates. We also called on General Khin Nyunt who had been head of military intelligence and seemed to be moving into the position of overall military leader. Ambassador Levin tried to talk with them about what was happening, what they thought about it and how the government was going to respond. They were extremely polite and genteel – but had nothing to say, except to try to reassure us that it was not serious and we should not worry. 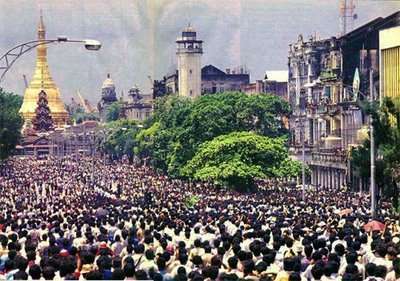 By that time there were many thousands of people in the streets. There had been no legal political opposition for more than 30 years, but it had been slowly organizing and growing since the spring of 1988. After the ambassador had called on the senior government officials to talk to them about what was going on, he began calling on those who appeared to be senior opposition figures. This became easier as the government withdrew as an obstacle to their activity. The most prominent people the ambassador called on were: U Nu, the former president who had been deposed by Ne Win in the 1950’s; a former general named Aung Gyi,; Aung San Suu Kyi and a former general and national hero named Tin Oo who had been recently released from prison. There were two Tin Oo’s. One was a notorious former chief of military intelligence; but the one we called on was the one who decided early on to ally himself with Aung San Suu Kyi. The call with Ambassador Levin was the first time that I saw [Aung San Suu Kyi] in Burma. We went to her house. It was also the first time that I met her husband, Michael Aris, who I’d heard about before they were married. He was there in Burma with her at that time. 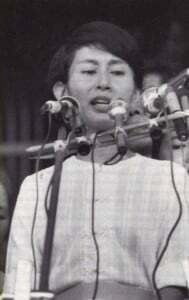 Aung San Suu Kyi was in the process of establishing the “League for Democracy”, and she was making regular speeches…. She believed that it was time to establish a democratic government in Burma; it was time to have a government of the people. 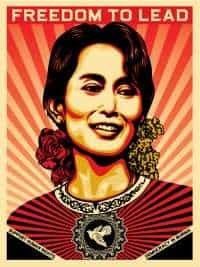 Burma had run by a dictator for the last 30-some years, and she believed that his regime had caused tremendous problems for Burma. She blamed a lot of Burma’s backwardness, poverty, and corruption on Ne Win. But she never spoke about him or his government with bitterness or anger. She was logical, practical and almost forgiving. But she was also firm and clear about the need for change. She said she had great faith that the people of Burma were capable of democratic government, would support responsible and compassionate leadership. She pursued everything that way. She believed also that the people of Burma would listen to her and support her – at least partially because there was still a great deal of affection for her father in Burma, and that was true. In fact the population was absolutely ecstatic about her. Shortly after the Ambassador’s calls on senior government officials, the government withdrew from everything. It stopped providing services. The police disappeared; the banks closed – and there was little response to the growing demonstrations. The government also opened all the prisons and let everybody out – political prisoners and those incarcerated for theft, murder, etc. Then we began to hear reports of divisions not just within the government, but within the armed forces. Until that time the demonstrations had been peaceful, and we did not think there was really a danger from that part of the population – in spite of the official television reports which regularly reported various violence and atrocities that we were unable to corroborate. However, with the possibility of conflict between different parts of the military our calculation of danger had to change — within two days we evacuated everybody…. That night there was actually some fighting. I stayed out at the residence of the DCM [Deputy Chief of Mission], which was further out of town than my house, and we stood out on the front porch and watched the tracer fire go over the city, with occasional explosions. So something was going on. After that the demonstrations grew and grew until there were millions in the streets. And then we had to face a number of other issues associated with the growth of popular demonstrations and the lack of government services. One example was the possibility of food shortages, and people believed that this was partially the work of the government to try and put pressure on things. The rice shortage issue was a concern and we had some discussions within the embassy of whether we should bring rice in from the United States. I thought it really didn’t make sense. Besides the fact that it would have taken weeks or months to get PL-480 [Public Law-480 for foreign assistance] rice from the United States, we knew that there had been a good rice harvest that year. There should not have been any scarcity. We concluded that the reason for the lack of availability of rice was that people were scared. They didn’t know what was going to happen so they were hoarding. Also, the banks had all been closed by the government so there was some difficulty with cash. So we came up with the idea that we would bring in money. The ambassador had a $25,000 discretionary assistance authority that he could use immediately. We thought that if the ambassador used that money to start buying rice it would bring the rice out of hoarding. 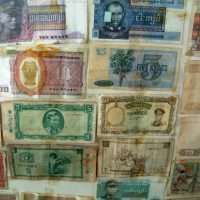 There was only one catch – we didn’t have $25,000 worth of Burmese currency – and the banks had all been closed by the government. The answer was to go to the Sino-Burmese business community. They had access to a separate, non-governmental financial system that spanned all of Southeast Asia. We figured this was not illegal because there was no government and the banks were all closed. We weren’t violating any laws; because there were no laws operating. So I went out to see if I could find someone to change $25,000…. We were welcomed with almost no formalities by an older man. He looked Chinese to me, but he was Burmese and speaking Burmese. I told him briefly what we wanted to do, and asked him if he would be able to change a large amount of money. He said, “Well, what’s a large amount of money?” I told him $25,000 U.S. dollars, thinking he would have to consider it. He looked at me first as if I was joking, then as if I was a child – then he laughed and he said yes, he could do that. Obviously, when I said a large amount of money he was picturing something much more. I think he was disappointed. Anyway, with that we knew that it could be done. But also with that the word got out quickly that we were asking. Before we could even begin to change money, the rice just started pouring out. All of a sudden it was everywhere and the market began to function again. In the end, we didn’t even have to change the money. We didn’t have to buy anything. So that crisis passed, but the demonstrations were still happening – and still growing. In some ways it was very exciting for us. The square in front of the embassy was a central location for the demonstrators, who would march past the embassy shouting “Deemocracie! Deemocracie!” It was nice to experience the United States being placed in the role of hero again rather than villain. Then one day the government said, “Stop! We’re not going to allow this to go on any longer. Don’t come out tomorrow!” Well, many people didn’t believe them. They came out anyway – and so did the military. The city was much quieter, because people were scared. But a group did come to the front of the U.S. embassy. This time it was different. The troops pulled up at the end of the street….The embassy faced a park across the street, and the military set up a barricade out to the left and again warned everybody to leave. The crowd didn’t leave, and then the soldiers started shooting. They shot everyone who couldn’t take cover, and there was almost no cover. Later when ambulances came to try and help they wouldn’t allow the ambulances or the doctors to go in. I don’t know how many people died there in front of the embassy. I think it was less than 100 but I’m not sure. When the shooting started we told everyone in the embassy to lie on the floor to avoid stray bullets, but some still went to the window to watch. I watched very briefly and it was not a nice sight. We stayed in the embassy until late afternoon. By that time the military had allowed the ambulances to come and pick up the dead and the wounded. Some of the students had sought refuge in the embassy before the shooting began. They were brought in by an elderly monk who was sort of the first warning. He came up to the door, asked to see the ambassador and explained to the security officer that he thought something terrible was going to happen. He asked if he could bring some of the young students that were with him in. The security officer came up and asked the ambassador who said, “Absolutely, bring them in.” I can’t remember how many people they brought in. I think there were about 15 or 20 students. Right after that the shooting began. Later in the afternoon we very quietly let them out the back door of the embassy and hoped that they all got away safely. I knew that the monk did because I saw him again later. They did it all around the city, wherever there were demonstrators. We estimated that thousands of people were killed; the government said no way was it that many but there was never any way of finally resolving how many. Then the government imposed a curfew, 6 a.m. to 6 p.m. and the city – and the country – was shut down…. By then our relationship with the government was really pretty bad. We criticized them for the severity of the crackdown; and it became apparent based on the meetings that we had, that we were not going to get anywhere with them. Government officials, particularly military, were not willing or able to have any real conversations with us. The statements that they did make were almost nonsensical in light of what was going on. There was a growing sense that the people in power were not just heavy-handed or cruel, but rather unenlightened rulers. They certainly didn’t have the interests of their people very high on the agenda…. After those calls on senior government officials and after the government began to shut down services, we concluded that we needed to really expand our contacts with the opposition. Until that time the embassy had very little contact with leadership figures that were not in the government. It wasn’t possible. But when the situation began to change, we immediately started calling on the senior opposition figures. As I mentioned there were basically four: one was the former president of Burma, U Nu. A second was a retired military general named Aung Gyi, who had been Ne Win’s second in command for a number of years until he had a falling out with him. 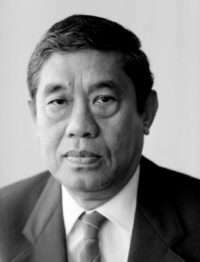 Aung Gyi had not been in the government for, I think some 20 years, but he resurfaced in the spring of 1988, first to offer public “advice” to the government and then to present himself as an alternative. The third was Aung San Suu Kyi and the fourth was the retired general Tin Oo. Each was different, but all focused on the popular movement, the grievances of the population, the policies that had caused this, and the things that were needed to rebuild the government and the country. The disturbances themselves had started almost a year earlier when Ne Win had demonetized a lot of the currency. 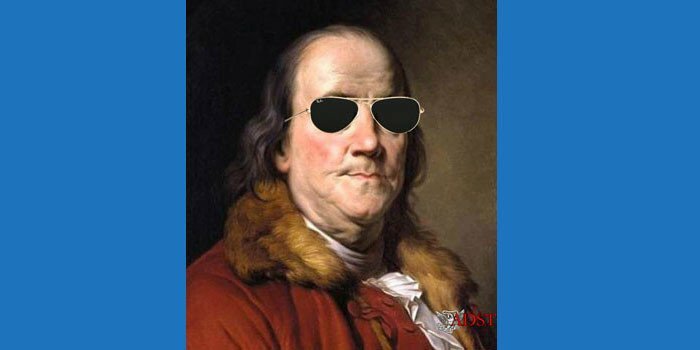 Just all of a sudden, without any warning he had invalidated most denominations of currency, leaving only a few that could still be used. For many people that was the final straw after 30 years of economic decline. They had been very passive for the previous 30 years, but began to say enough is enough. The people who we went to see were willing to talk about all of those things and more. U Nu was very old; I think he was in his mid to late 80s at that time and he was still very articulate and he advocated a stronger role. I should not go into details, but he advocated a stronger role for the United States and for the international community. Aung Gyi sounded a lot like the government officials with whom we had recently met, except that he said things should change. At the time, he basically was advocating working with the existing government to turn things around. He was not advocating replacement of the whole government, just replacement of the senior leadership with himself. Aung San Suu Kyi was the most articulate of all of them. She seemed to have and was able to express to us the most sophisticated understanding of the grievances of the Burmese population and what kinds of things were needed to redress the situation. She had been a long-time admirer of Mahatma Gandhi and his non-violent movement and that’s the way she wanted to pursue things. She was very disciplined; she was very determined and she was also pretty polite towards the regime, although as time went on she became more and more directly critical of them. Tin Oo was very similar to her and eventually the two of them formed an alliance. She became the head of the League for Democracy and Tin Oo became the number two person. She was definitely much more experience. She had continued to study and to look into these issues and had a better understanding of international relations than she had had, you know, 19 years or so before but that was natural. She had more experience; she had raised a family; she had studied in Japan; she had done many things, and seen many places. She had been back in Burma for, I guess about six months. The big difference was her orientation, her commitment. Basically she said she had raised her family – her sons were both teenagers at the time. She declared she had done that job and now it was time for her to serve her country. She said she had made that clear to her family. She was still devoted to and loved her family, but her primary commitment had to shift to her country. She was prepared to make any sacrifice for it. Her family had accepted that. Certainly her husband had accepted that. I didn’t know her sons very well, but they seemed to have accepted that, at least as far as they understood it…. Shortly after that the “State Law and Order Restoration Commission” (SLORC) was established made up entirely of military officers. We didn’t know if that was truly the makeup of the leadership or if it was a front for Ne Win reasserting his power. I’m not sure at that time if anybody really knew. It was still being played out behind the scenes. As it turned out the generals asserted their power more and more. Ne Win, I think, continued to be a leadership focus and influence but he was less and less a force…The military was already a class unto itself. [The military crackdown on demonstrations]…was pretty violent. It was crushed. Of course we were disappointed. We were particularly disappointed for the people of Burma, because after the crackdown there did not seem to be any good prospects for them. Of course the regime had said that it was doing this to establish order and protect the country. The authorities publicized all kinds of stories of terrible things that had happened, and then said they were going to allow a democratic process to continue, that elections would be held, and so on. The regime soon announced that it would hold elections in the spring of 1989; that different political parties could be established and campaign and that people would be allowed to congregate. We were very skeptical and so were much of the opposition. Nevertheless, opposition leaders, like Aung San Suu Kyi and the League for Democracy and Aung Gyi and some others, said they would give it a try and participate in the process. They had to give the regime the benefit of the doubt. There was a very, very tight period for several months after the crackdown. After that they took the curfews off, and allowed people to move around, not just Rangoon but across the country. 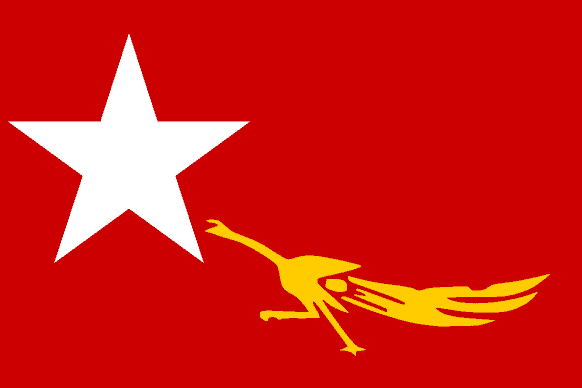 Aung San Suu Kyi, in particular, traveled all over Burma. Everywhere she went huge crowds came out and they kept getting bigger and bigger and bigger. The government occasionally intervened, but on the whole it did not interfere with the campaign process, not up until the very end. Then, after the election had taken place and the National League for Democracy had won 80 percent of the votes, the government shut everything down, said it wouldn’t recognize the results of the election, and put Aung San Suu Kyi under house arrest. Many other leaders of the National League for Democracy were put in jail and everything was shut down tighter than a drum…. After the election we couldn’t have contact. There was no access. The morning that everything was shut down, I got a phone call from Aung San Suu Kyi asking me if I could come over to her house. It was 6 a.m., and I replied with some surprise, “Now?” She said, “Yes, now.” So I went. My driver was already there and we drove over. When we got to her house there were military vehicles – trucks and armored personnel carriers – all over the place. The driver said to me what do we do now? And I said well, there’s nobody in the driveway; just pull in and see what happens. So we pulled into the driveway, the gate opened and we drove in. Suu came out and explained the military vehicles had just appeared. Nobody had talked with her yet, and she didn’t know what was going to happen. She told me she didn’t know whether they were going to take her away and put her in jail, put her under house arrest or kill her. She honestly didn’t know what was going to happen. She was scared, but she was ready to accept whatever came. We talked a little bit and I said, “I have to be honest with you. I don’t know what we the United States can do to help you here because we have a line that we are not likely to cross in terms of direct intervention.” She said she understood that, and then I left. As we started down the street an officer came out and put up his hand. I told the driver not to stop. He was uncomfortable, but did as I told him. The officer just stepped out of the way and let us go. That evening the driver came up to me and said sorry, but he could not continue to work for me any longer. I said I understood perfectly, and not to worry about it. He was not only scared that our encounter with the military could have turned out differently. His father was a military man. By continuing to work for me, for the Americans, under those circumstances he would have endangered not only himself, but his father and whole family. He knew that he couldn’t continue his association with us under those circumstances. After I left the house, Aung San Suu Kyi was put under house arrest and she was incommunicado. She wasn’t allowed to talk with anybody. The only one person as far as I remember who could go in and out of that compound was the woman who managed her household, cooked and so on. She was allowed to go out and go to the market and get things that they needed and go back in…. About four weeks after the crackdown we brought all the [embassy] families back from Thailand. Life resumed. We still had a curfew but in some respects that made things easier. You knew you had to be home before a certain hour, so you didn’t work late, didn’t go to diplomatic events – you just went home. We continued to look for ways to stay in touch with people on the political and economic side. As soon as it was allowed, we started traveling around the country. I made several trips around Burma. It was always a bit iffy, because you never really knew whether the government was going to give you permission to go or not…Often the government people were not available. We were also followed – which meant we had to be careful not to compromise those with whom we met. People could get in trouble for their association with us. But it was a struggle; it was a struggle to find people that would talk with us, to find people that knew anything – and then to piece it all together. I left Burma six months earlier than planned.